Darjeeling: The hills have hardly any tourist in the ongoing lean season with Chowrastha being empty and eateries half-filled. But no chair is vacant where Bhanu ra Pala 4 is staged. The drama is a political satire which spares no leader in the Darjeeling hills, from Subash Ghisingh to Bimal Gurung to Binay Tamang. And the play has taken the hills by storm. The journey of Bhanu and Pala - the protagonists - has never been easy as they have always swum against the tide. "In 1993, I used to stage Sabhyata ani kukur ko puchar (civilised and dog's tail) on the sly at schools and clubs, always ensuring that there would not be much publicity," said Lalit Golay, the Pala as well as the brain behind the play. That was because the political dispensation then could not be so brazenly questioned. In 2007, with the fall of the GNLF, the drama "leaked out in the open" and the people renamed the drama. 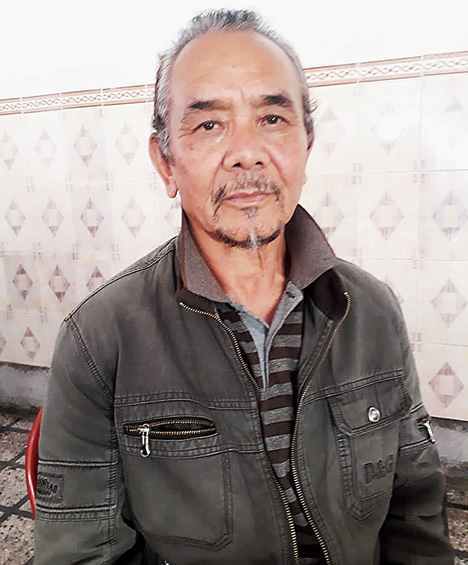 "Since everyone started calling the drama Bhanu ra Pala, I, too decided to name it so," the 68-year-old Golay said here on Tuesday. He has spared none and typical of politicians, they have laughed and cried along with the narrative. "Earlier, the GNLF was unhappy, but the Gorkha Janmukti Morcha liked the play and even donated us Rs 50,000 after a show. Then, the Morcha was unhappy with us," said Golay, who had to perform for two days under police protection in Kurseong in 2015. The same year, he was "summoned" by a powerful political leader in the hills. Since, 2015, Golay has had a relatively smooth run, perhaps an indication that politicians are now being forced to accept criticism, surely a welcome sign given the political culture of the region. The cog of the satire fundamentally revolves around the type of people poet Bhanu Bhakta Acharya would probably have encountered 200 years after he had met a "grass cutter" that changed his destiny. "With this in the back of my mind, Bhanu has come. He talks to Pala and this provides a platform to air all grievances," said Golay. The dramatist added he was only "airing grievances of the public". "When politicians used to intimidate me (in early 1990s), I didn't have muscles to fight them. But I decided that I would air my grievances in my own field," said Golay, who had already directed 48 dramas. Golay has come up with four sequels to Bhanu ra Pala. The play has been staged at more than 150 locations, with four to five shows at a single venue. Bhanu ra Pala 4 was released in May and has already travelled to a dozen locations. Audiences swear that there is not a dull moment in the three-hour long drama. "I, too, wonder how I manage to keep people laughing for three hours," the actor told The Telegraph. But there is precision in his jab. The dramatist takes about two months to write the script. "I, however, fine-tune it to ensure my barbs hit the right person and not someone else. I discuss with my wife, daughter, friends before being ready. This takes almost a year-and-a-half," said Golay. The hills have hardly any tourist in the ongoing lean season with Chowrastha being empty and eateries half-filled. But no chair is vacant where Bhanu ra Pala 4 is staged. The drama is a political satire which spares no leader in the Darjeeling hills, from Subash Ghisingh to Bimal Gurung to Binay Tamang.